G-RAID USB is a high-performance, removable RAID solution with dual 7200RPM Enterprise-class hard drives. Featuring an internal RAID controller, solid all-aluminum enclosure, and quiet cooling fan technology; it is quiet, stylish and portable. 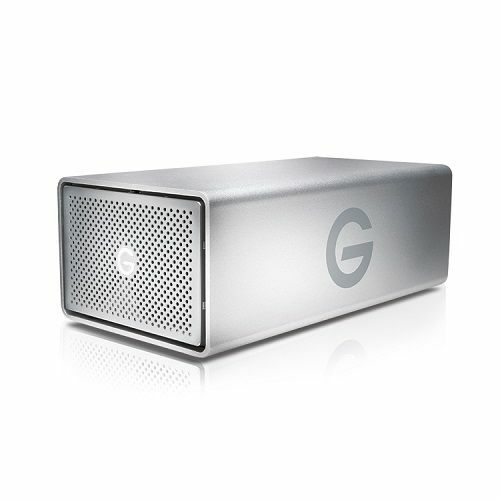 G-RAID USB has USB 3.0 connectivity and the flexibility to choose between hardware RAID 0 (Performance), 1 (Protected) or JBOD to quickly access, browse, edit and backup your digital library. Ideal for storage-intensive applications like audio/video editing, digital photography, music libraries, and high-speed data backup, G-RAID USB provides massive storage capacity, reliability and performance.